Do you travel often and dread changing your email address? Well, in that case, you may benefit from a virtual mailbox. What the virtual mail service does is that it assigns you a physical address. You can set the physical address as your permanent address, and you can direct all your mail to this address. Once you get the mail, then the virtual mailbox will send you a scanned copy of the envelope. You can direct the mailbox to open your letter and scan the contents. Next, the mailbox will send the content of the letter to you. If you want, then virtual mailbox may forward your letter to your current mail address also. You can also get the letter recycled using the virtual mailbox service. Let us look at the perks of a virtual mailbox for a traveller. Why should you go for a virtual mailbox? For travellers, the virtual po box is bliss. The reason is that usually, the travellers need to divert their mail to family or friends back home. 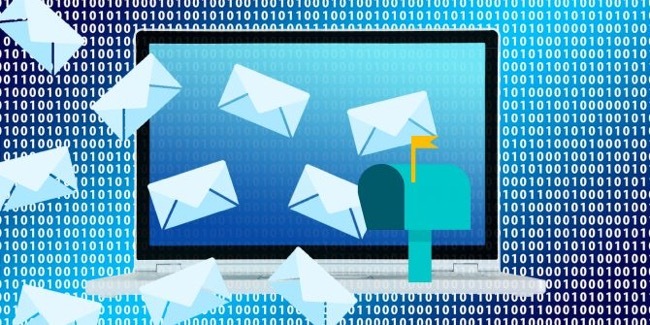 Well, this can be a major hassle for people at home to sort out the email, and this is where the virtual mailbox comes as a convenient option. Secondly, when you travel, then you do not want your office activities to get disturbed at all. The good news is that you get top quality office services when you opt for a virtual mailbox. For example, dedicated phone numbers get answered by a receptionist. When you have to select your virtual mailbox, then go for the one that facilitates you to use the mailbox as your registered agent. Look for a virtual mailbox that is available with Dropbox integration so that you can have access to your files anytime you need. It will be great if the virtual mailbox service offers multiple addresses and has a high standard of security. When you are travelling, then you want to avail the convenient options so you should go for a virtual mailbox that has an easy to use interface. What you need is a cost-friendly option. The best approach is that you choose a virtual mailbox that offers limited monthly scans also. It will be good if you can get a junk mail filter also with your virtual mailbox. Additionally, if you can get cheques through the mailbox that need depositing, then this will be a great option also. There are many other aspects to consider also when you need to choose your virtual mailbox. The most important thing to consider is how much mail you receive each month. In such a case, a traveller cannot miss out on the virtual mailbox. However, make sure that you go for a reliable virtual mailbox service. It will be a wise approach to shortlist some of the best services. You should compare their features so that you can figure out what best suits your requirements. The benefit of this practice is that you can make the best selection in this situation.